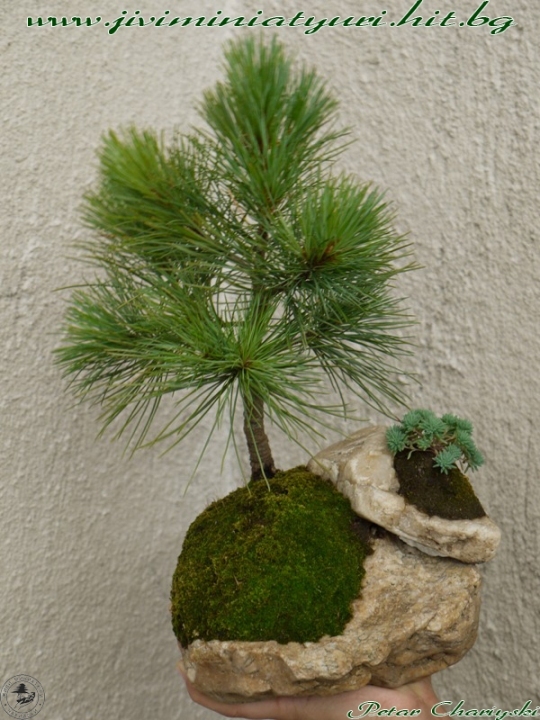 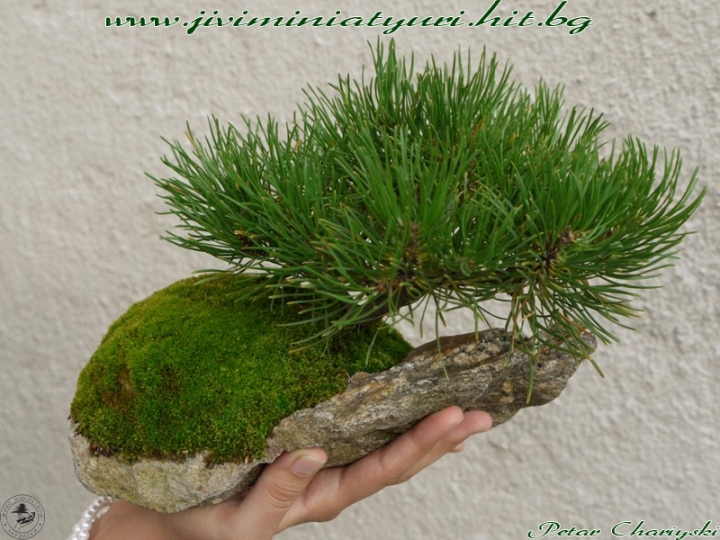 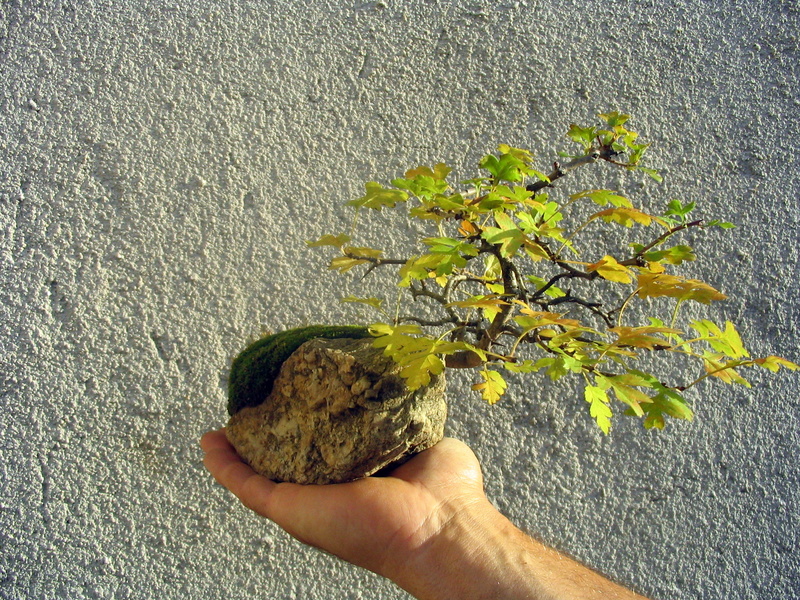 His initial attempts are since 1991, when planting a fern on a stone and it started to develop very well. 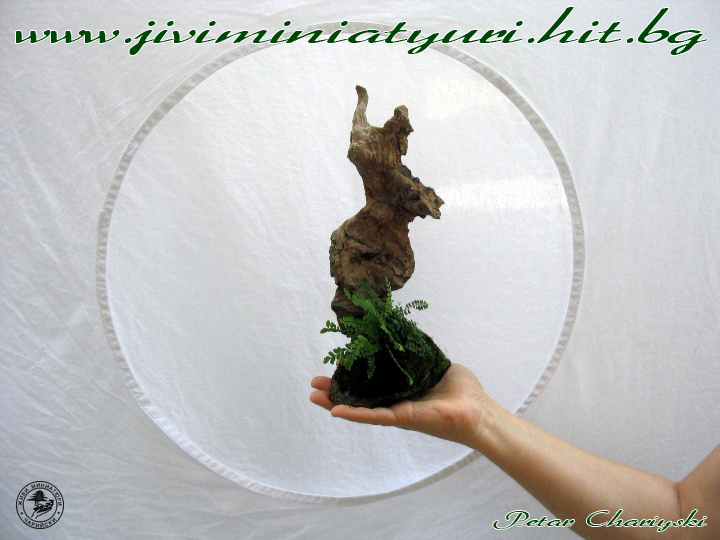 Over time, he get success also with other species, ivy, juniper, dwarf and others. 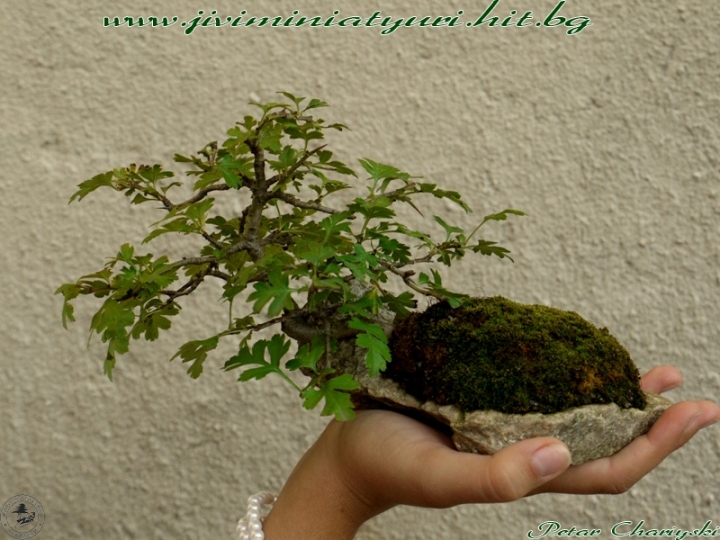 After a few years he already has a collection and made ​​his first exhibition in Samokov, and later in Sofia. 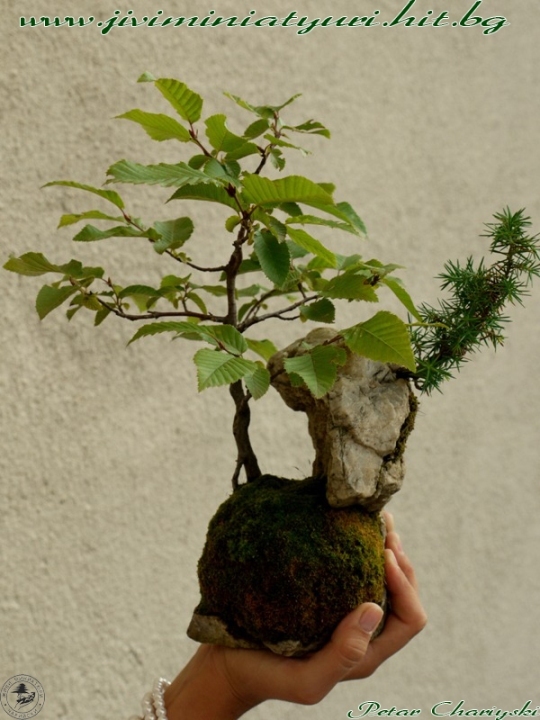 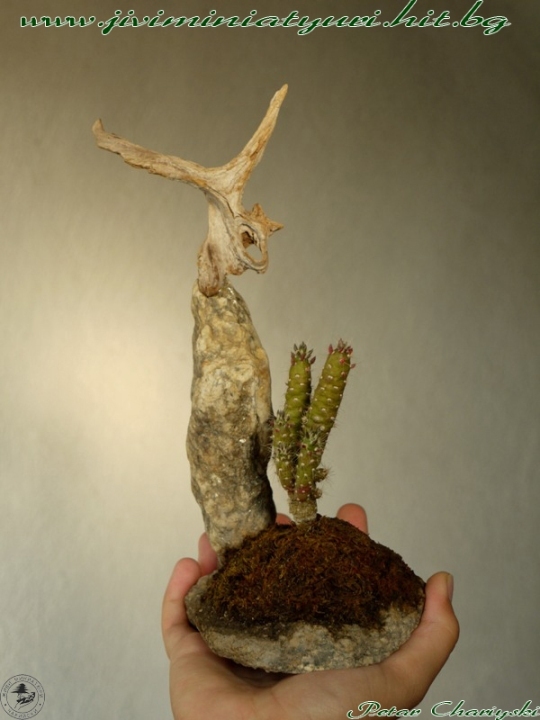 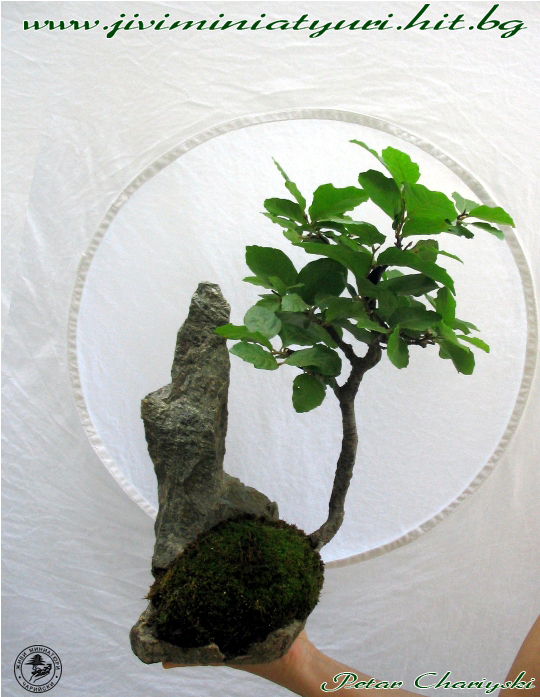 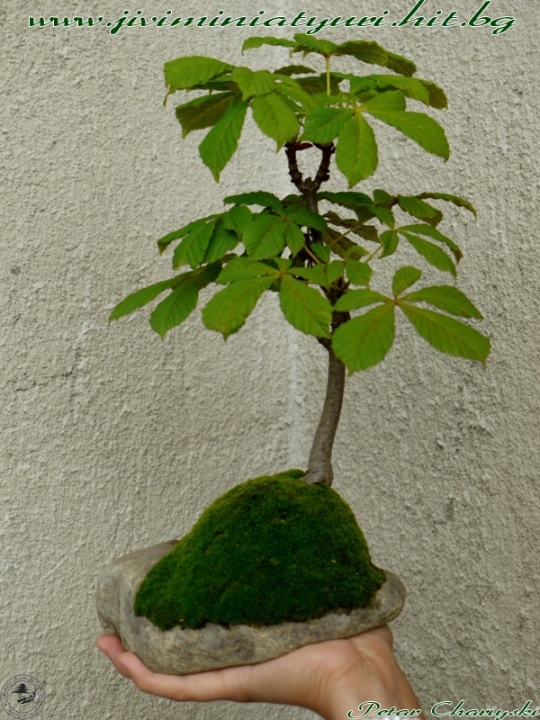 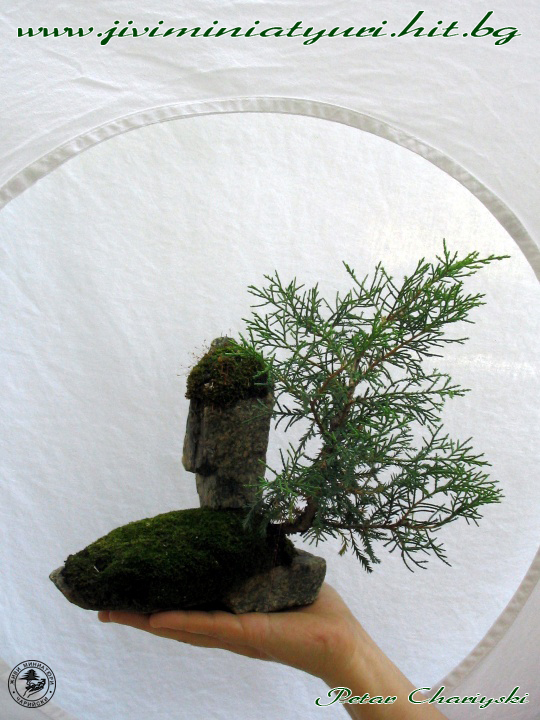 He uses some bonsai-techniques for shaping and therefore he called his works not bonsai butd live Miniatures. 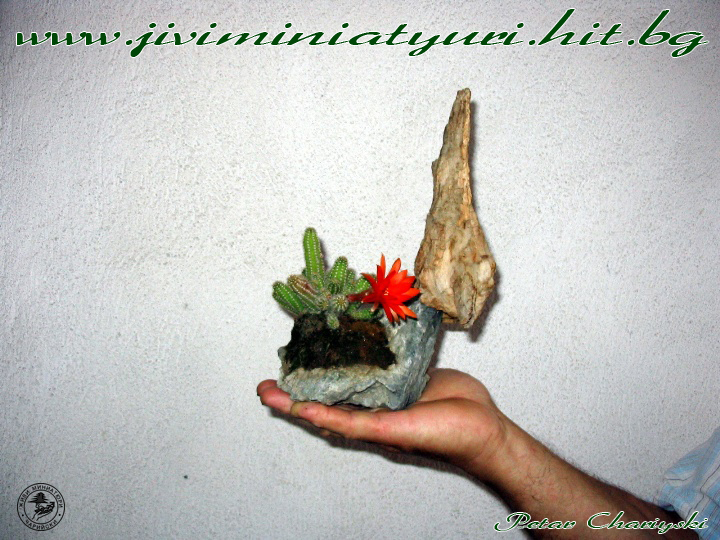 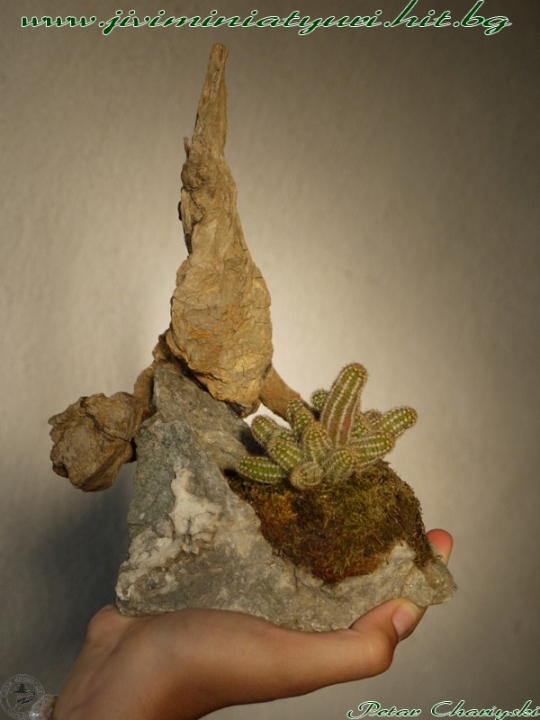 In this sense, the compositions: plant / fern, ivy, cactus /, dry wood and stone are original to him.